Believe it or not I have some very weird tendencies…..if you know me well then that won’t be a shock to you. Living in Kentucky your life is full of superstitions and old wives tales. I still remember some that my Granny Judy lived by religiously. I tend to not do things like don’t break glass, open umbrellas in a building, and walk under ladders. Even though I know that if I do these things absolutely nothing is going to happen. I guess it’s just burned into my brain and I do it out of habit. To me this isn’t that interesting or strange. However, my family thinks differently. I have watched every episode and most of them 2-3 times. I could sit and watch this show all day long! I don’t know what I’ll do the day it gets cancelled….let’s not even think about that. My husband thinks I’m not human because I don’t LOVE bacon. That’s all you hear people talk about…bacon…bacon…bacon. I think this bacon craze sometimes ruins the flavor of certain dishes. I’m sorry but hold the bacon for me. I’m starting to think I’m the only person in the world (besides vegans and vegetarians) that doesn’t have to have bacon on everything! I think feet are gross. No one has ever understood this. Like most everyone else I use my phone as an alarm clock. For as long as I can remember I have set the four alarms five minutes apart (7:00, 7:05, 7:10, 7:15). I have a fear of oversleeping for work so I set them and make my husband look at them, then I turn them all off, and back on. I then have to show him that they are all back on….I think it’s an O.C.D. thing. Again I think this is an O.C.D. thing. I’m terrified that I am going to forget to lock a door….especially at work. I feel that if I make a big deal about locking it I will remember that I did (that way I’m not stressing). I do NOT understand this. But I have never been able to touch cotton balls. The thought of touching one sends chills down my spine. When thinking about it I get goosebumps and become nauseous. Make fun of me all you want but it is a real phobia. It is called Sidonglobophobia. You can read more about it here. I came across this video and of course it is dramatized….but everything she said is completely true about this phobia. Just to clarify I am not afraid of the packing peanuts. And I am able to use q-tips only because it is packed together and can’t make that crunching sound (ohh I could get sick just thinking about it). Okay after reading those things I bet you think I am a total loon and basket case. We all have our little ticks and odd things….mine just happen to be far out weird haha. 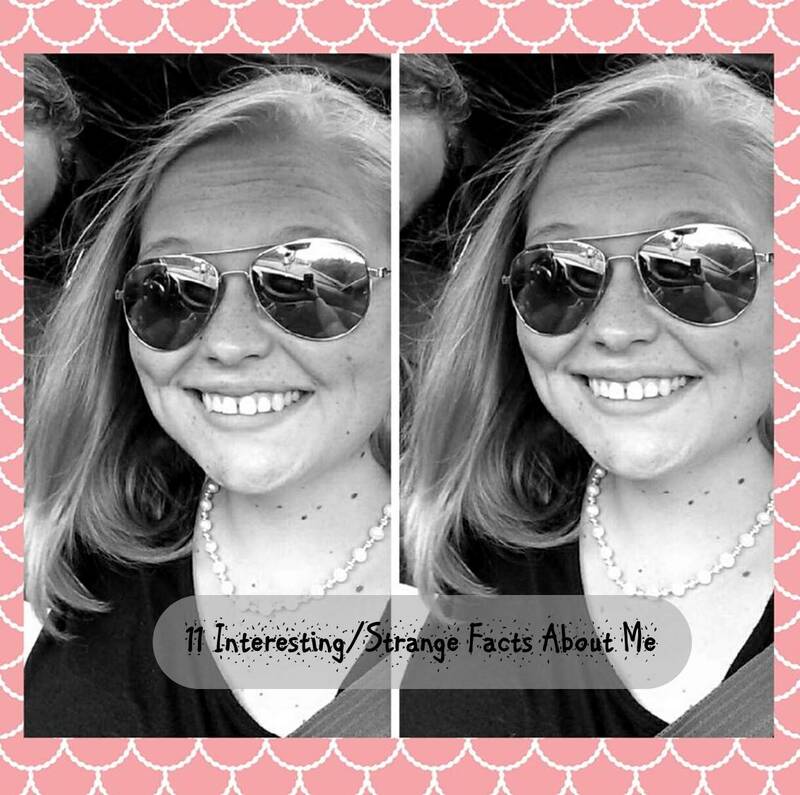 Can you relate to any of my interesting/weird facts? Have one that you want to share? I want to hear from you. Post in the comments something weird/interesting about you or if you can relate to any of mine! I don’t think your crazy, like you said, everyone has their little things that seem crazy! And as far as the cotton phobia, you can’t help that at all cuz you get it honest cuz your dad is the same! I used to have to get all the cotton out of new medicine bottles, he couldn’t even look at it, lol!